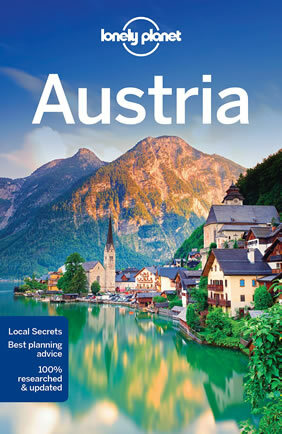 Vienna, Krems, Salzburg, Schladming, Innsbruck (Austria), Munich (Germany), and more! A gay men’s leisurely stroll across Austria, enjoying the fabulous local foods, wines and beers, and having fun! A magnificent 15 day inclusive jaunt across Austria in the company of other gay men. 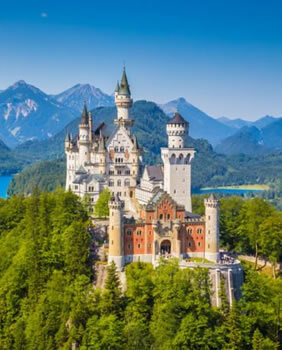 4 days discovering Vienna, 3 days in Salzburg and the “Sound of Music”, 3 days in the high alpine ski village of Schladming, 3 days in Innsbruck and Austrian Alpine lakes, 1 Night in Munich, Castle Neuschwanstein in Bavaria, Boat ride on Danube River, Ride the Giant Wheel at the Vienna Prater. Welcome and Farewell parties for the group, Discover the gay bars and clubs across Austria. This tour offers gay men a wonderful opportunity to explore Austria in comfort and style at a leisurely pace. Not only are the major tourist attractions included, but also some fun experiences, parties, wine tastings and meals in famous local restaurants. There is free time to discover the interesting gay life with its numerous bars, cafes and saunas. The best part is the travelling with other gay men and the fun, enjoyment and friendships that ensue. Beyond the obvious gay and lesbian places, Austria is queerer than meets the eye. For centuries homosexuals have left their distinctive marks in Austrian arts and politics, sometimes subtle, yet noticeable. And many a visitor today is suddenly confronted with the whole truth about the personality of that special historic figure: "Yes, he was too!" So don't be surprised to find that - apart from the gay and lesbian scene - Austria holds a colorful range of cultural and culinary pleasures, of delightful shops and curious delights. • 3 days in Salzburg and the "Sound of Music"
Arrive Vienna International Airport. Meet and greet. Transfer to hotel and check-in. Refresh and rest. Welcome drinks and dinner party at a local restaurant. Buffet breakfast at hotel. Vienna sightseeing in the morning including a highlights tour of the imperial Schloss Schoenbrunn and its baroque gardens with maze and labyrinth, followed by by special lunch at Kardos Restaurant. In the afternoon visit the Viennese Prater, a public park and entertainment area with ride on the Giant Wheel included. Return to hotel and free time. Buffet breakfast at hotel. Morning sightseeing to the Cistercian Helligenkreuz Abbey, peacefully situated in the middle of the “Wienerwald”, the Vienna woods and one of the most beautiful medieval monasteries in the world. Then Seegrotte Hinterbruehl, an ancient gypsum mine and now the largest underground lake in Europe. In the evening dine at Heurigen Wolff restaurant. Buffet breakfast at hotel. Full day free for individual sightseeing, relaxing or persuing one’s own pleasures. In the evening dine at the famous Santo Spirito restaurant. Buffet breakfast, then check-out from hotel. Coach ride to Krems in the picuresque Wachau Valley on the Danube River. Wine tasting at a famous winery. Then drive to Spitz for Danube River cruise to Emmerdorf, where you visit Melk Abbey, the world famous Benedictine monastery. Enjoy local specialities with a 3 course lunch at the Schwazer Baer restaurant. Continue to Salzburg and check into hotel. Eveneing free time. Buffet breakfast at hotel. Full day sightseeing in Salzburg city and Lake area. Along the way you will have the opportunity to practice your Julie Andrews impersonations in the land of the “Sound of Music”. In the evening dine at the traditional Stiegkeller Restaurant with its beer garden and spectacular views over the old town. Buffet breakfast at hotel. Full day sightseeing to Berchtesgaden in the Bavarian Alps, Germany, with beautiful countryside, traditional architecture and alpine lakes. Visit the famous saltmines and Eagles Nest, Hitler’s hide-away perched on a volcanic peak. In the evening dine at the K & K restaurant in Salzburg. Buffet breakfast at hotel. Drive to Hallstatt, the UNESCO jewel in the lake area. Explore the picturesque village by the lake with its ancient salt mines market square. Continue to Schladming, another ancient salt mining village high in the alps and now a popular ski resort. 3 course dinner at the hotel. Buffet breakfast at hotel. Full day excursion to the Dachstein Glacier with gondola ride rising 1000m in 6 minutes passing sheer rock walls. The top station is at 2700m with impressive panoramic views. Dinner at Restaurant Landalm Rohrmoos, a traditional alpine lodge. Buffet breakfast at hotel. Half day excursion to the Planai Mountains - magnificent limestone walls of the glaciated Dachstein Massif, together with the countless peaks and 300 mountain lakes of the Schladminger Tauern provide alpine scenery at its best. Afternoon free time for relaxing, spa treatments, individual sightseeing and cafe sitting. Evening 3-course dinner at hotel. Buffet breakfast at hotel. Morning scenic drive to Zell am See, another picturesque lakeside village with visit to Krimml Waterfalls, the highest in Europe. Afternoon stop at Kitzbühel, a typical Tyrolian mediaeval village for exploration. Continue to Innsbruck and check-in to hotel. In the evening, 3-course dinner at Restaurant Theresienbraeu, a brewery and beer garden. Buffet breakfast at hotel. Morning city tour including entrance to Bergisel, a high vantage point to the south of town and a famous ski-jump. After lunch drive to Swarovski Crystall Worlds, created by either eclectic artists or someone on a psychedelic trip. 3-course dinner and show with traditional Tyrolean folk dancing and music for a raucous evening. Buffet breakfast at hotel. Full day excursion to Fuessen in the Bavarian Alps. Visit Fuessen’s historic centre with its baroque churches, Gothic houses, medieval town wall, the St. Mang abbey and the High Palace (Hohes Schloss). Then trip through Castle Neuschwanstein, a mad king’s Wagnerian fantasy. 3-course Dinner at traditional Hotel Restaurant Grauer Baer. Buffet breakfast at hotel. Coachride from Innsbruck to Munich. Check-in to hotel. Afternoon city tour and visit to the ultra-modern BMW Museum. 3-course dinner at Loewenbraeu Kellar, a famous Bavarian public house with great beer and local food. Buffet breakfast at hotel. Morning free time for shopping etc. until time for departure. Check-out of hotel and transfer to Munich International Airport for departing flight. Courtyard by Marriott Vienna Prater/Messe is located right next to the Reed Messe Wien, Vienna’s exhibition and convention centre, and only a 1-minute walk from the Krieau Underground Station with access to the city centre within 10 minutes. The large spa and fitness centre on the 8th floor offers modern equipment and a sauna with panoramic views of the entire city. Courtyard by Marriott Vienna Prater/Messe features a modern interior design and a spacious, trendy lobby with a lounge bar and a small shop. Free WiFi is available in public areas. The Alphotel is just 500 m from the Innsbruck-Ost exit of the A12 motorway. It is fully air-conditioned and offers a sauna, free parking, and free internet access. All rooms in the Alphotel Innsbruck feature air conditioning, satellite TV, a minibar, and a safe. 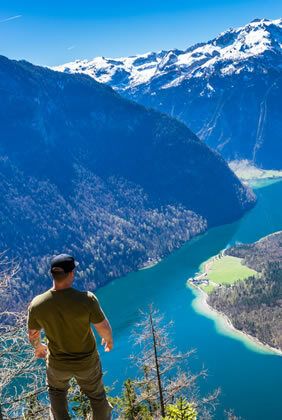 Most provide panoramic views of the Tyrolean Alps. Austrian and international cuisine and a wide range of drinks are served in the restaurant and in the modern bar. The historic city centre of Innsbruck can be reached within a few minutes by public transport. Ambras Castle is just 1 km away. The ski bus for the surroundings ski areas stops directly at the hotel. This elegant hotel in Munich lies beside the English Garden, a 14-minute tram ride from Marienplatz. It offers stylish rooms and a modern centre with indoor pool. A rich continental or buffet breakfast is offered each morning and the Tivoli Restaurant serves international cuisine. Drinks and snacks are offered in the People’s Lounge. After a workout in the Munich Park’s gym, guests can enjoy a sauna session. Bicycles can be hired for exploring Munich’s old city. Tivolistraße Tram Station is 600 m from the Hilton, offering good public transport connections. $1000 per person deposit payment required at time of booking, balance payment due not later than 90 days prior to departure. The Octoberfest, with many gay events begins on Saturday, September 21, 2019. If you would like to extend your stay in Munich for a few days to join in the festivities, we can make arrangements.